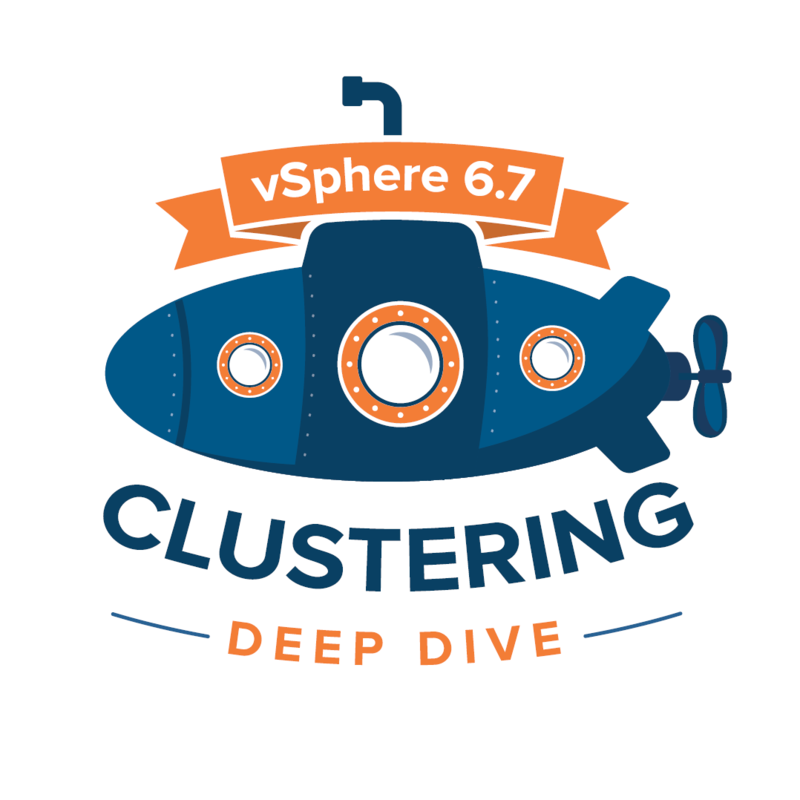 The vSphere 6.7 Clustering Deep Dive is now available via Amazon! The VMware vSphere 6.7 Clustering Deep Dive is the long-awaited follow-up to best seller vSphere 5.1 Clustering Deep Dive and zooms in on the critical components of every VMware based infrastructure. It provides the knowledge and expertise needed to create a cloud infrastructure based on the solid foundation of vSphere HA, vSphere DRS, vSphere Storage DRS, Storage I/O Control and Network I/O Control. It explains the concepts and mechanisms behind these features that enables you to make well-educated decisions. The book contains a stretched cluster use case section that contains all necessary settings for creating a fully-functional stretched cluster and reviews all failure scenarios and their effect on the existing workload. This book takes you into the trenches of HA, DRS, Storage DRS, SIOC and NIOC and gives you the tools to understand and implement, e.g., HA admission control policies, DRS resource pools, Datastore Clusters, network resource pools, and resource allocation settings. Each section contains basic design principles that can be used for designing, implementing or improving VMware infrastructures. Combine this book with the vSphere 6.5 Host Resources Deep Dive book, and you have an in-depth and comprehensive set of books that deliver the information you need to design and administer vSphere in the enterprise. Often referred to in the virtual community as the vSphere Resource kit, the Host Resource Deep Dive zooms in on hardware resources such as CPU and Memory and covers how the vSphere 6.5 resource scheduler manages these. The Clustering Deep Dive builds on top of that and zooms in how a group of ESXi hosts work together and provide clustering services.